Article submitted by Angelina Z. Summary: Gone are the days when gaming on a Mac was unheard of. Below are a couple of reliable methods to effectively game on a Mac today. Apple computers have had a bad reputation as being less than ideal for gaming purposes. Apple’s laptops and desktops are fast and reliable but they have not been considered fast enough to handle some of the more demanding titles. The vast majority of computer games, as a result, are only available for PCs. However, due to technological advances, it is now becoming easier to run popular games on Macs. To learn how best you can game on a Mac, continue reading below. Mac computers are not well-known for having the most powerful gaming GPUs. GPUs are necessary if you want smooth graphics and quick visual effects. These are crucial if you want an enjoyable gaming experience, especially if you are playing competitively online with other players. Due to the fact that gaming GPUs require large amounts of power and can drain batteries, Apple has favored GPUs that are more battery-friendly. External GPUs are portable GPUs that can be plugged into your computer to boost its GPU capabilities. Although Apple does not officially support any, which can sometimes result in buggy experiences, there are many different external GPUs on the market that members of the Apple community can use. They may be on the pricier side, but if you are not interested in purchasing a PC for gaming, this is a great option. Nvidia recently released the public beta for GeForce Now, their solution to gaming on computers that may not have been designed for such an intense activity. Rather than playing a game using your computer’s hardware, GeForce Now enables users to stream the game being run on Nvidia’s high quality processors. Many popular games have been optimized for the service, making the gaming experience much smoother and more responsive, the faster your internet connection is. 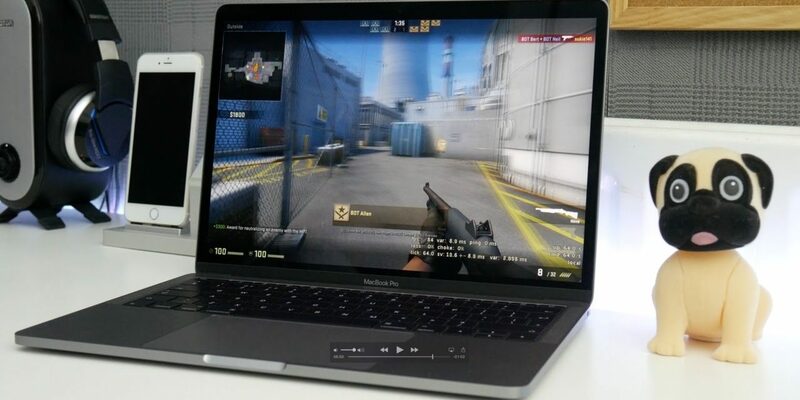 Pricing has not yet been announced, but many reviews show that this is a much better method of gaming than running games natively on your Mac.